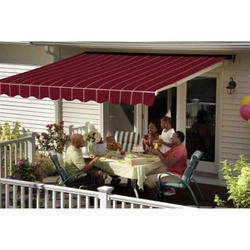 As per the necessities of the customers, we are involved in providing the optimum quality of Motorized Awnings. Retractable Awnings in Delhi, NCRaarcee manufactures and designs Retractable Awnings as per the need of the customer. It provides shade to the doors, windows, balconies. Considering the varying requirements of our patrons, we are indulged in offering Motorized Awning. Providing motorized awnings and canopies.